TRIBUTES ARE BEING paid to 17-year-old Reece Cullen who was stabbed to death in Jobstown this afternoon. The young man was attacked in the Kilclare Crescent area at around 3.30pm and is believed to have received stab wounds to his chest. He was brought to Tallaght Hospital where he was pronounced dead. Friends and family have been paying tributes to Cullen who many have described as “a lovely lad”. Others said he was a “really nice young fella who’d do anything for you”. It has also emerged that the victim’s mother died in September last year. 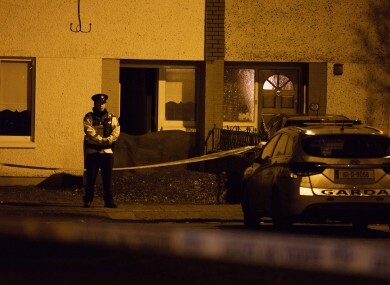 Fianna Fáil TD John Lahart described this afternoon’s stabbing as both distressing and shocking for the community. He said: “This is a deeply frightening incident to have occurred for all in the locality, in particular the parents of young teenagers. Irrespective of any details, a young boy has very tragically lost his life and a family has been left shattered. Gardaí wish to appeal to witnesses who may have been in the Kilclare area this afternoon between 2.45pm and 3.30pm. to contact them at Tallaght garda station on 01 666 6000, the garda confidential line 1800 666 111 or any garda station. Email “Tributes paid to teenage boy Reece Cullen who was stabbed to death in Dublin”. Feedback on “Tributes paid to teenage boy Reece Cullen who was stabbed to death in Dublin”.